Today is Ammo’s Birthday! Colorful Hearing’s wonder dog just turned 2. 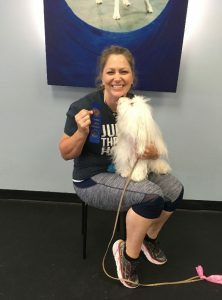 Here he is with Zoom Room’s Master Trainer Heather Gillihan after earning his AKC Canine Good Citizen certification. What a flirt! 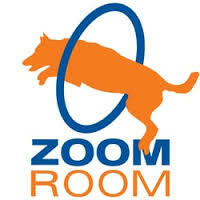 Ammo loves going to class at Zoom Room. He thinks it’s doggie Disney Land.